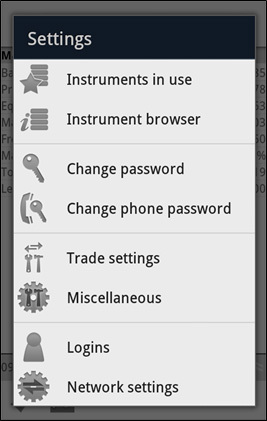 "Instruments in use" and "Instrument browser" functions were already discussed in the previous sections of the User Guide. 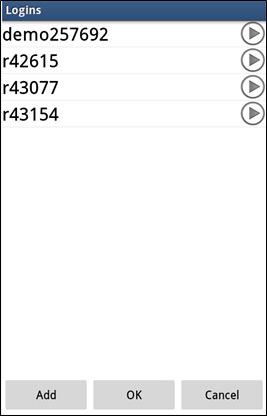 "Change password" and "Change phone password" functions are clear. Here default parameters are set, which are applied to the dialogue of opening a position. if "Use locks" is not ticked you cannot use "Lock" mode in your orders. 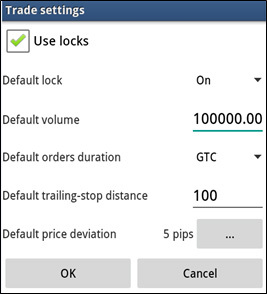 Moreover, if you have several positions with the same direction (Buy or Sell) and you are setting an order with another direction without "Lock" mode, at first the set volume is summed up with the most profitable position and if the colume of that position is not enough, the remaining volume is summed up with the next profitable position, and so on. The summing here is an algebraic addition (taking into consideration the sign), i.e., for example in case of summing up an orders and a position with various directions and the same volume, the position is simply removed; in case the volumes are different, the position with a volume equal to the surplus of this position is remained. 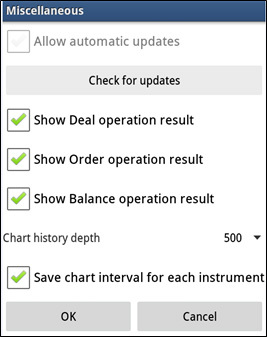 In this window notifications can be set on the results of operations, the availability of any updates can be checked and the chart history depth can be set. if it is ticked, the timeframe which was set for that particular instrument is chosen by default.